How Many Pounds Can the 2018 Ram 1500 Tow? The Ram 1500 receives new trim levels and new grilles for the 2018 model year. Ram is in the process of replacing its cross-hair grille with one sporting large R-A-M logo and bold horizontal lines. The new grille, already used on the Limited and Laramie Longhorn, will now appear on the 2018 Ram 1500 Limited Tungsten and Sport models. The Sport model also features dark headlight bezels and emblems, body-color bumpers and trim, and twin hood scoops. The classic cross-hair grille will still find a home on the new Big Horn Black trim level, which features the hood from the Sport model, black headlight bezels, wheels, paint and badges, an 8.4-inch touchscreen infotainment system and 7-inch gauge cluster. If you like a plush cabin, the new Limited Tungsten trim is perfect for you. It goes beyond the luxurious Limited model, with Natura Plus leather used throughout as well as a one-of-a-kind front/indigo color scheme. Premium touches include a suede headliner, brushed metal interior accents and genuine wood trim. The unique exterior features a sports hood, satin-painted wheels with tungsten accent inserts, body-colored step rails, mirrors, door handles, and bumpers, and a tungsten-colored tailgate with a new Ram logo. Tungsten Limited is available in a variety of cab configurations, wheelbases, and rear- or four-wheel drive. The 2018 Ram 1500 models are better than ever. 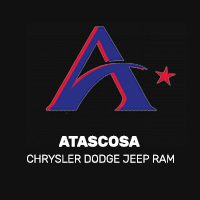 Come visit our Ram dealership today for a test drive, and enjoy customer service that prioritizes your satisfaction.